Congratulations to junior welding student, Allison Everson of Green, who was recently accepted in to a Career Training Program with the Timken Company. Everson will begin the year-long program this month at the Timken Research Facility in North Canton. “The Career Training Program is very competitive and students are intensely monitored over the course of the summer and their senior year to see if they will ultimately be selected for the Technical Development Program upon graduation,” said Lisa Clarke, PLCC Job Placement Coordinator. 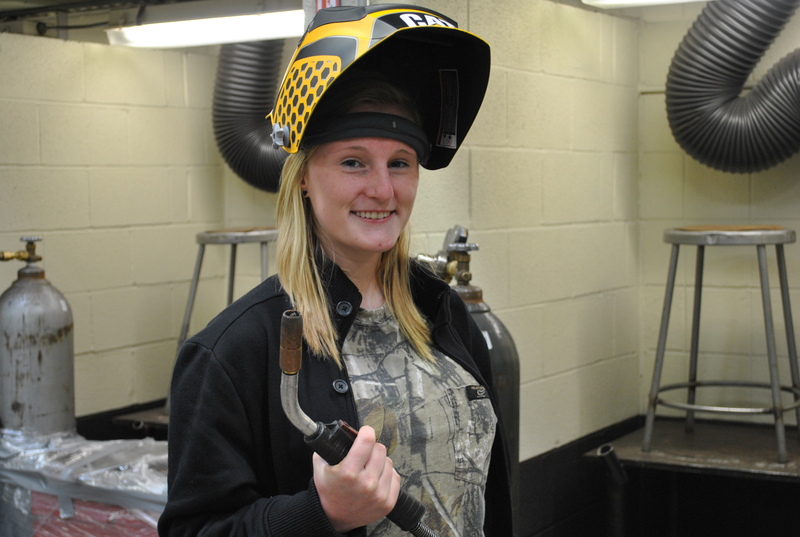 If selected for this four-year program, Allison would become a full-time Timken Research employee, earning an hourly wage, benefits, and 36 paid for college credits toward a Mechanical Engineering Degree at Stark State College.